On Saturday, April 5th, in Brea, CA 40 volunteers came together and participated in an Easter Basket build event. Children often look forward to waking up on Easter morning and finding a basket full of candy or participating in an egg hunt. For a foster child, this may not be the case. Holidays can be a very rough time for those in the foster care system. Unfortunately, foster kids may not get to experience receiving an Easter basket or going on an egg hunt. To insure that foster kids get to experience some normalcy around this holiday, Together We Rise decided to create an event where volunteers could build baskets. For the event 40 volunteers from Simplicity Bank and Kohl’s came together to build the baskets. The volunteers were able to make personalized Easter cards, stuff eggs with candy, and assemble the baskets. In the course of the event we were able to assemble over 300 baskets! These baskets will be able to provide local foster kids with a chance for normalcy this Easter. We are so thankful for all of our corporate sponsors like Simplicity Bank and Kohl’s for their continued support and involvement in our programs. 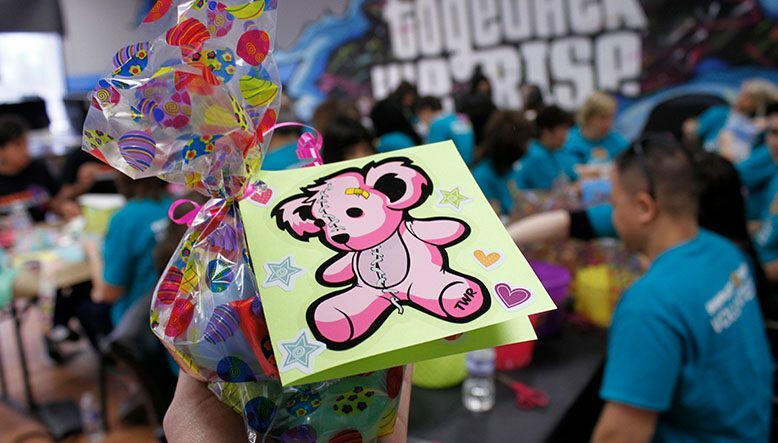 This Easter will be brighter for 300 plus foster kids because of their support! Are you interested in getting involved? Partnering with Together We Rise for one of our holiday events is a great way take part in our programs. Whether it be providing funding for our events or hosting an event of your own, your involvement will help us advance the success of our mission to transform the way youth navigate through the foster care system. Contact gianna@togetherwerise.org for more information! 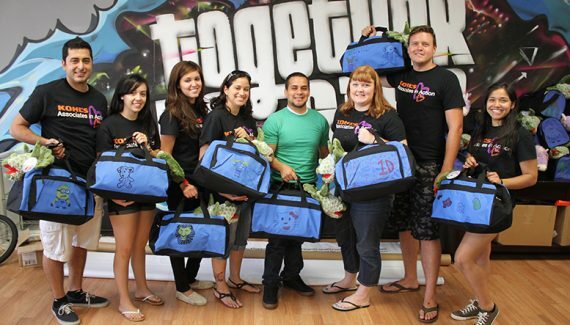 TWR takes 75 foster youth to Disneyland & Kohl’s builds Sweet Cases!